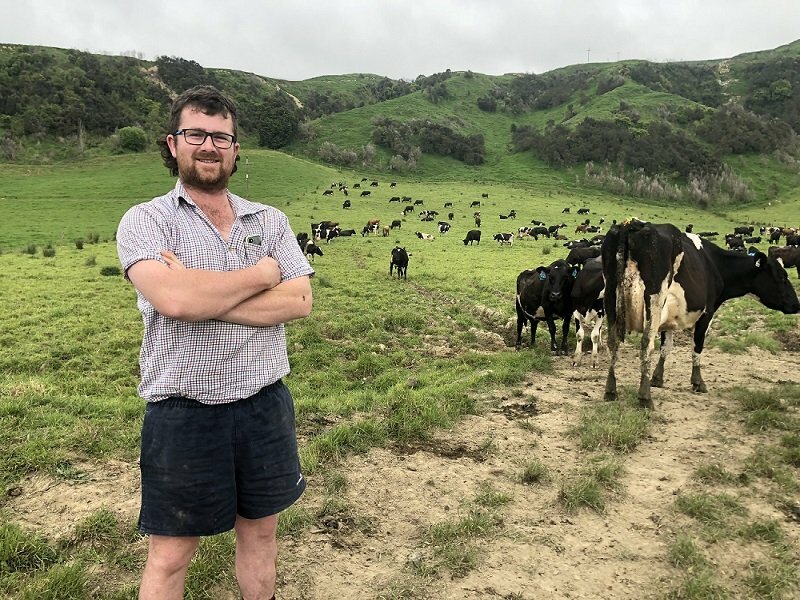 Juggling contract milking 400 cows, being a volunteer firefighter and an active member of Marton Young Farmers is all in a day’s work for Michael McCombs. It takes Michael just three minutes to drive from the Manawatu dairy farm he calls home to Kimbolton’s fire station. The small one-truck station is staffed by community-minded people like Michael, who generously volunteer their time. Within minutes Michael was on the scene of a ferocious house fire in Cheltenham. The Marton Young Farmers member joined the New Zealand Fire Service four years ago. He’s been part of the Kimbolton Volunteer Fire Brigade for three years and finds it hugely rewarding. “We train once a fortnight and we prepare for everything,” he says. Michael’s dedication as a volunteer has helped him win a NZ Young Farmers Excellence Award. The awards are designed to recognise members who are leaders, achievers and role models. Michael’s club mates are buzzing about his win, including Samantha Tennent who nominated him for the award. “Michael deserves to be recognised. He does a lot for our club and the community and never toots his own horn,” says Samantha. Michael’s in his second season contract milking 400 cows through a 32-aside herringbone milking shed in Kimbolton. The location of the nearest fire station is a major factor when deciding whether to take a job. “I’m lucky I have a supportive farm owner and staff member, which is vital,” he says. Kimbolton’s chief fire officer Tony McIntyre said New Zealand needs more volunteers like Michael. The 26-year-old joined Marton Young Farmers just over four years ago. He’s always had a role on the committee and even served as club chair. “I often use our club meetings as an opportunity to encourage members who’re close to fire stations to join them. There is so much to gain by volunteering. You learn first aid skills, give back to your community and it’s a great way to meet the locals,” he says.